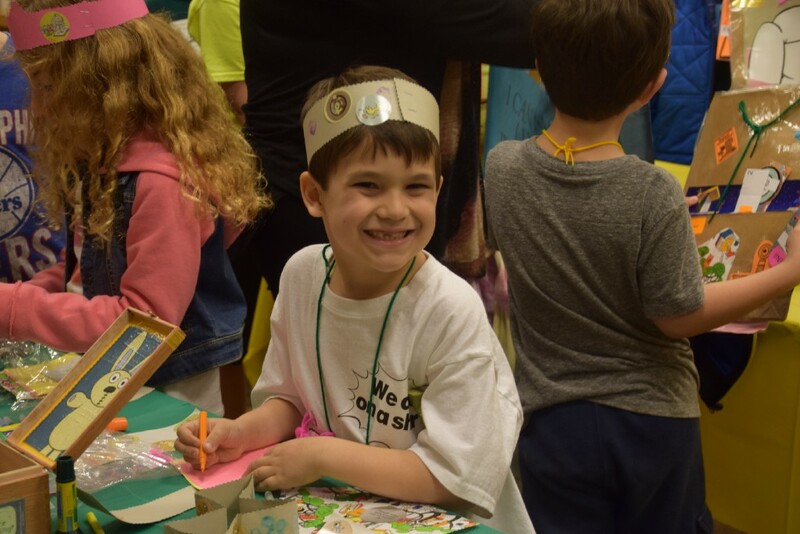 Micah Miller got to have his seventh birthday party at the Barnes and Noble store in Marlton. The party included story time, a scavenger hunt and book-themed cupcakes. Micah Miller, 7, does some coloring at his Barnes and Noble birthday party last Friday. 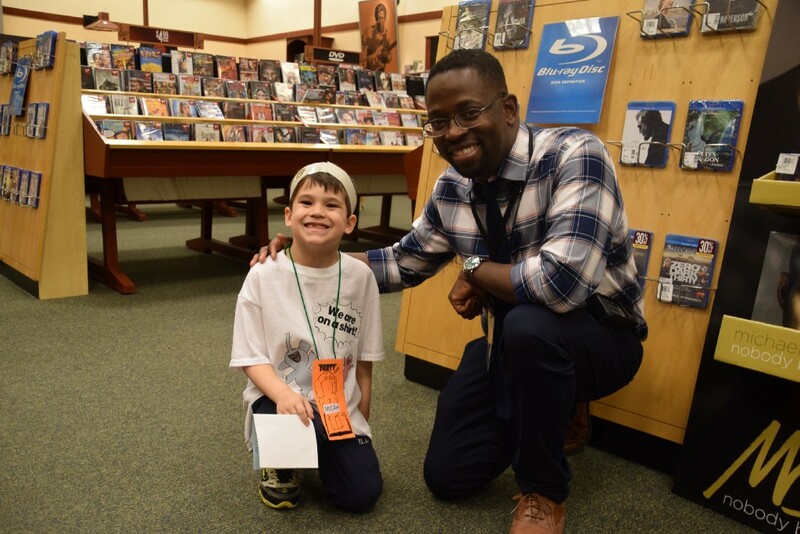 If one were to frequent the Barnes and Noble book store in Marlton often enough, they’d likely run into 7-year-old Cherry Hill resident Micah Miller. 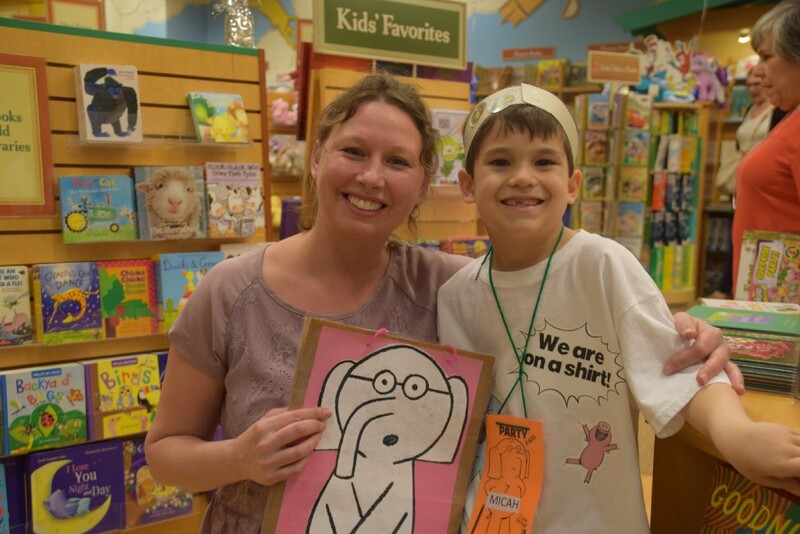 Barnes and Noble is one of Micah’s favorite places to visit, mostly because he is an avid young reader. Last fall, with Micah’s birthday still a few months away, Miller came up with a great idea. Why not have Micah’s party at Barnes and Noble? On Feb. 24, that is exactly what happened. Micah’s first-grade class, friends and family joined Micah at the Barnes and Noble store in Marlton to celebrate his seventh birthday. What makes Micah’s birthday unique is it was the first birthday party the Barnes and Noble in Marlton ever hosted. Micah Miller with Barnes and Noble store manager Hakim Scarborough. Barnes and Noble regularly hosts other kids family events. This helped Scarborough and Miller plan for how the party would be structured. One of the keys to the party would be keeping it themed to books. Miller decided to theme the party around the “Elephant and Piggie” book series by Mo Willems. Miller created many of the decorations and items for the party to be themed around the book series’ two main characters, Gerald the elephant and Piggie the pig. Miller included a few surprises for Micah. The party started with a story time. The reader was Vanessa Brittin, a teacher at Barclay Early Childhood Center and one of Micah’s favorite teachers from when he attended school there. Micah had no idea Brittin would be attending. Micah Miller (right) and his former teacher at Barclay Early Childhood Center, Vanessa Brittin. “She was the first one to inspire Micah to read,” Miller said. After story time, the kids embarked on a scavenger hunt throughout the store. Each stop on the scavenger hunt included an activity. One area included a spot where kids could pose as Gerald and Piggie for a photo. At another table, the kids could create crafts. 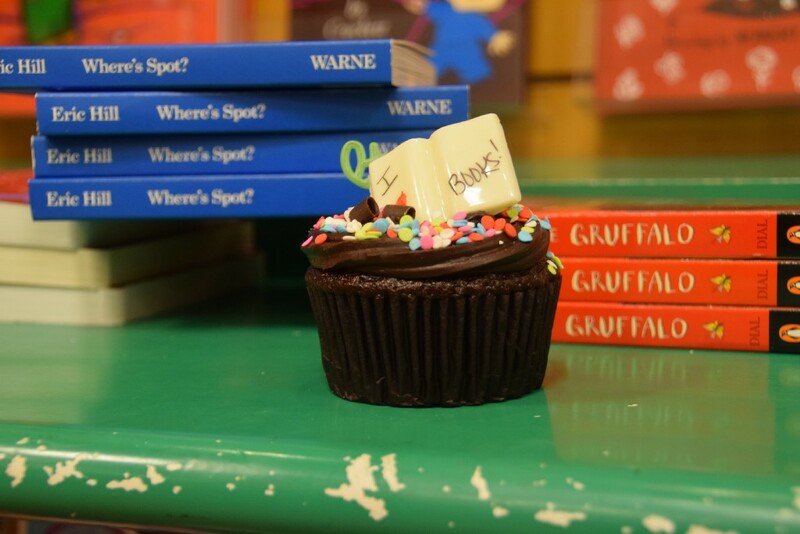 At the end of the party, all of the kids received cupcakes, each that had books decorated on top of them. Each kid in attendance also received a Barnes and Noble gift card to purchase items in the store. The store was open for normal business during the party. Most of the activities were kept in the children’s section. Parents escorted the children around the store during the scavenger hunt. “Even though (Miller) wanted to do this, she wanted to minimize how much impact it had on our business, which was great,” Scarborough said. Micah said the cupcakes and getting to shop for books were his favorite parts of the party. Miller and Scarborough both agreed. Miller felt the party turned out, “pretty amazing,” while Scarborough felt the party was well organized.